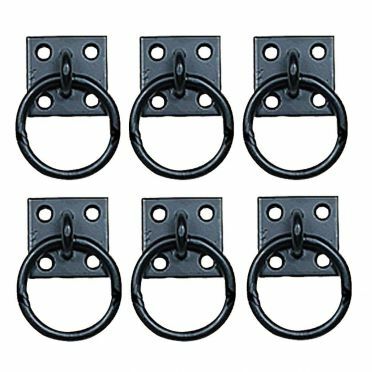 This set of six (6) Wrought Iron Cabinet Hardware Ring Pulls handcrafted by blacksmiths in our New England Forge, and are beautifully-designed and textured detail for adding some period-style Victorian, Mission, or Colonial and Country charm. 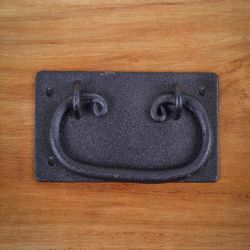 You can easily and affordably change the look of your new or old kitchen and bathroom doors and drawers, or update an old armoire or dresser.... and these ring pulls will enhance your home's existing decor. 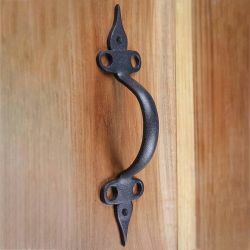 These Wrought Iron Cabinet Hardware Ring Pulls are created in an authentic antique style and have a protective black coating that will protect them many years. 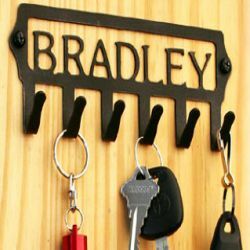 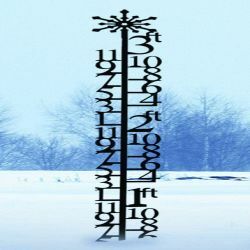 Measuring 2 inches in overall height, each pull's ring has a diameter of 1-3/4 inches, a backplate which measures 2 inches in height and width, and they each have 1-1/4 inch projection. 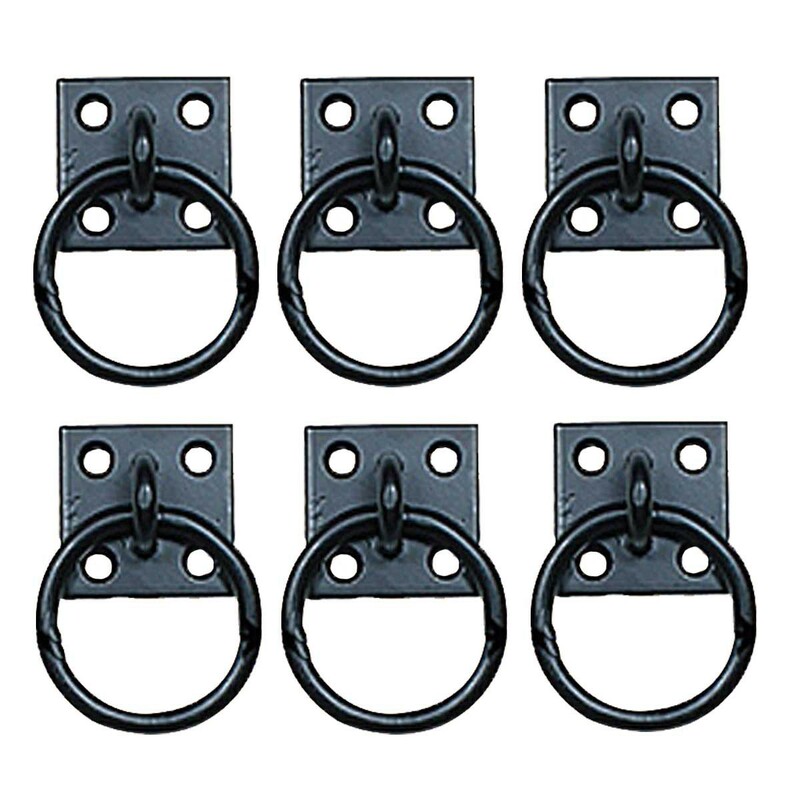 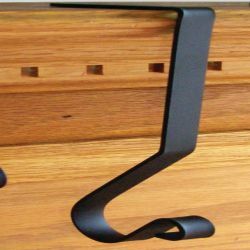 (See 'Measurement Table' below for more dimensions), These pulls are sold as a set of six (6), and come complete with all necessary mounting hardware.